I apologise for the recent radio silence from the microfinance heretic. This has not been due to a shortage of items to write about – to the contrary. I have lost track of how many frauds, collapses and scandals there have been in Ghana; some of the Finca data emerging currently is deeply disturbing; India is embarking on the same trajectory that ended in tears in Andhra Pradesh. Media coverage challenging the wisdom of indebting poor people en mass has continued unabated. It seems the tide has turned on microfinance, and the assumption that small loans miraculously alleviate poverty is increasingly treated with scepticism. Greeks are making similar discoveries regarding large loans. Obviously the Kivans are still convinced, but there is little way to get through to fanatics, especially when they refuse to ask basic questions about their beloved intermediary. (As an aside, I found Murakami’s Underground surprisingly insightful regarding the Kivan cult like following!). Kiva’s a drop in the ocean, so not worth expending too much energy on. There may be some glimmers of hope in the sector. As players are under increasing pressure to demonstrate actual positive impact, things can only improve. Pressure, even if merely reputational, sharpens the mind. I periodically receive tip-offs, leaked documents, or hear rumours about frauds and failures amongst the MIVs, and to their credit, these have been few and far between these last few months. The only big lament is that Smart Campaign still exists. I spoke to Isabelle Barres in a conference in Guayaquil, needless to say she is not my greatest admirer. I confronted her with the obvious and disappointing observation that their client protection principles fail to address the interests of children, and that microfinance is disturbingly correlated with high incidents of child labour. See Bolivia and Peru for example. However, there was zero scope for negotiation. She did not deny that illegal child labour was taking place, the vast majority in the informal sectors that are the hunting grounds for the microfinance sector, but that including the rights of children is utterly out of the question. The reasons for this are obvious. Firstly, the microfinance sector is facing huge criticism, and associating it with yet another crime, especially one as sensitive as child labour, is a reputational hit they can ill-afford currently. Secondly, if Smart dared to include child labour in their otherwise watered-down principles, very few MFIs would want to get certified, and that is, after all, Smart’s business. But perhaps the main driver behind their refusal is simply that microfinance depends on child labour. Who else can do the hard work for minimal or zero salary in the typical low-margin, labour intensive, competitive activities that so-called micro-entrepreneurs engage in? “It is depressing to hear that Bolivia has become the first country to legalise child labour, reducing the minimum age of employment from 14 years old to just 10. The new law contravenes the International Labour Organisation’s (ILO) minimum working age protocol and is an abandonment of a child’s right to a childhood”. The astute reader will observe that Ali-G is a comedian. Smart are actually taken seriously by some people. Meanwhile Truelift, the Wonderbra of the sector, seems to have all but vanished. The other sad bit of news is that MFTransparency (MFT) closed. I will write about this in detail at some point, but essentially one of the few effective transparency initiatives was no longer sustainable. But what is the concept of sustainability when it comes to transparency? Surely it is a public good? Police forces are not sustainable. In a nutshell, there were too few people out there willing to pay someone to actually report on the actual interest rates paid by the poor. Naturally the insiders publicly lamented this, while quietly breathing a sigh of relief that their dirty laundry will no longer be aired in public. If the Microfinance CEO Working Group were all so distraught at the demise of MFT, how come even they fail to publish their own interest rates on their own websites, leading by example? However, the fundamental reason for my relative radio silence has been work-related. My second book is currently with the editor, and will be coming out later this year. It involved a lot of travel, often to extremely remote regions without electricity, internet or phone coverage. I will write about it shortly. The second reason is that I have been working on a fascinating project recently in the DPRK. Yes, North Korea. It took a long time to arrange a trip, non-tourist visas are hard to get, and it was certainly intense. As radical as it sounds, in some regards the country is ideally suited for well-run SME finance (micro less so). Regardless of the reasons, the inhabitants of the country have been obliged one way or the other to be highly entrepreneurial. It is tightly regulated, to put it mildly, so the likes of Accion could not get away with their standard practices. In fact, Americans are less welcome in the country, which in microfinance is possibly not a bad thing – for a country that is only recently making the first tentative steps towards opening up its financial sector, why on Earth would they seek wisdom from their arch rival and instigator of the recent financial crisis? The reception of North Koreans to the Compartamos case study was one of utter bewilderment – how could a government possibly allow a private company to treat poor Mexicans like that? It’s a fair question, somehow permitted under neo-liberal free-market ideology, even with zero evidence of effectiveness. It’s fashionable to criticise North Korea, and I do not wish to enter into that debate, but when they look at the likes of Compartamos with utter disgust, who is the maverick? It took a while to actually explain how an interest rate can go above 100% – the concept is utterly unfamiliar to them – if only this were so rare a phenomenon in the rest of the world. There is a subtle difference here: Englert and Higgs came up with an idea in 1964 that was potentially important, but was not proved correct for 50 years, at which point they received the prize. Yunus merely displayed “effort”. Nice idea, but surely the prize cannot be awarded until it is actually proved to be correct with empirical evidence – there is none, and nor do the Nobel Prize folk claim otherwise. This got me thinking – to what extent was this prize awarded on ideological grounds rather than based on actual evidence? And the UN declared the previous year, 2005, the Year of Microcredit. On what grounds? Meanwhile, a fascinating article came out (alas, behind a paywall), by James K Galbraith and Will Butcher at the University of Texas at Austin: “Microfinance Control Fraud in Latin America”. Control Fraud is an economic concept coined by William Black in his famous book The Best Way to Rob a Bank is to Own One. The authors of the article eloquently demonstrate that the core criteria that facilitate control fraud in other sectors are almost unanimously present in the microfinance sector, and we are all too aware of tangible examples of such frauds already. Is this just the tip of the iceberg? I am studying this in more detail now and will comment on it shortly. And finally, Susanne Soederberg’s book Debtfare States and the poverty Industry is a fascinating glimpse into the rise of mass indebtedness – a little heavy going, it’s an academic text, but she excellently places the love affair with debt into a geopolitical and historical perspective: “the illusion of financial inclusion”. In the meantime, apologies once again for the delay in writing. I’ll make up for it by digging up some juicy dirt and reviewing some of the bright spots. Smart Campaign rarely speak in public. They lecture, but dislike questions. This is a rational response given their flawed certification model, which has just managed to praise one of the world’s most vilified institutions, Compartamos. Besides a few MIVs paying lip-service to client protection it is hard to find anyone who takes Smart seriously. The only person I know of, beyond Accion themselves, to stick his head out and publicly support Smart is Larry Reed, the head of the MicroCredit Summit Campaign. He launched yet another voluntary, self-regulatory model called Truelift. My sarcastic blog post on Truelift is about the only publicity they ever received. At Larry’s recent MicroCredit Summit in Mexico none other than Muhammad Yunus publicly announced that “self-regulation doesn’t really work”. Thus Larry is in a tight spot. His Truelift venture culminates in the ultimate accolade of Smart certification, undermined entirely by the Compartmos certification, and if Truelift is to retain any hope of becoming a meaningful certification for decent MFIs, it may wish to sever its link to Smart. Alas they sit on his steering committee. I shan’t repeat in detail the rather obvious criticisms of Smart. Briefly, it is ineffective; voluntary; has no teeth; awards certifications even to the worst performing MFIs; is owned, managed and run by Accion (think of vultures); has barely attracted any clients; and Smart has failed to address possibly the two most important aspects of its own Client Protection Principles – fair pricing and over-indebtedness. They sub-contract the actual certification process out to the rating agencies, who were somewhat obliged to do the certifications, and hoped this would lead to additional business with their standard ratings. It didn’t. No one knows quite how much money has been wasted on Smart, but it has so far rustled up a couple of dozen ratings in nearly five years – less than the regular rating agencies do in a month. So, it was a surprise when Isabelle Barres, current head of Smart, published an article on Next Billion prompted by criticism of Smart for awarding Compartamos a certificate. Compartamos, for anyone who has not heard of them, is a by-word for exploitation of the poor and extortionate interest rates. Alas exploitation and extortion are profitable activities, and have yielded vast profit for Accion. Perhaps not entirely coincidentally Accion are the owner of Smart, and also a primary investor in Compartamos. The fact that the microfinance sector is unable to detect a possible conflict of interest here suggests either that the sector is populated largely by fools, or that people simply don’t take Smart sufficiently seriously to worry about such details. Or a combination of both. Naturally Smart’s feeble effort on Next Billion was met with immediate and blunt criticism, to which Smart has failed to respond. I have written for Next Billion, and the instructions are very clear – authors are expected to respond to comments. That is the entire point: open and transparent debate. Yet it seems Smart can debate only with people that agree with them, and there aren’t many around. I actually feel sorry for Isabelle, author of the silly post and current head of the silly organisation. Elizabeth Rhyne set up Smart (at $250.000 a year salary), but seems to have moved aside recently. Isabelle was handed a lemon, everyone knows it, and probably so does she now. What can she do? Admit the thing is totally flawed? Agree that her own employer is a vulture? Attempt to deny the claims? Try to defend the actions of the sector’s most vilified MFI (actually SKS might compete for the top spot)? I have reviewed Smart/Accion’s salaries elsewhere – they are publicly available in the 990 Forms. With the exception of Vikram Akula (former CEO of SKS), Maria Otero, director of Accion during the juicy period around the IPO of Compartamos, was the second best paid employee in the microfinance sector ($2m). A number of things surprise me about Smart. First, how did it get so much publicity in the first place? Thousands endorsed it, although very few actually bothered to get the certificate. It offered a low-cost, low-effort way to perk up the reputation of microfinance without actually doing anything to clean up the fundamental flaws. Secondly, how did the sector allow Accion to manage it? Would we allow Goldman Sachs to run the SEC, or Wonga to run the FCA? Thirdly, why did the rating agencies jeopardise their own reputations by participating with Smart? I suspect lobbying and politics played a role here. Fourthly, why did Larry Reed embrace them? I suspect there were some discreet negotiations behind the scenes: Larry needed to give the impression of cleaning up the reputation of the sector, and Smart needed support. The fact that Smart is meaningless doesn’t matter if PR is the sole objective. Larry might be regretting his bed-fellow currently. But perhaps most mysteriously, how is it that Smart still exists? The obvious answer is that Accion have a substantial war-chest since the IPO of Compartamos and the juicy dividend stream thereafter. They can subsidize a dead duck almost indefinitely. But why bother? Very few want a Smart certificate, no one takes it seriously, and it hasn’t done Accion’s reputation any good. It seems a waste of time and money with no upside. Who benefits from Smart? The poor don’t, investors aren’t fooled by it and MFIs find it a hassle to have to get yet another certificate. It offers no obvious benefit to regulators, as any meaningful regulation is 100x more onerous than Smart. But Smart is dangerous and inept in equal measure. It gives a false impression to the ill-informed that “all is well in the microfinance sector”, or at least “we are cleaning up the mess”. Sure, sector insiders are not fooled by it. The general public pour money into P2Ps and find Smart superficially reassuring that their money is being used ethically. Foundations or donors who buy into the microfinance model but don’t have in-house expertise might be fooled by it. But there is a paradoxical manner in which Smart may actually go beyond uselessness to actually do harm. It offers investment funds a means in which to easily claim to comply with “industry standards of client protection”. If an MFI is found to be abusing its clients this raises questions regarding the due diligence and motivations behind not only the MFI but its investors and lenders. If they can point to a Smart Campaign certification, this acts as a defence to the fund: “we did all we could, alas sometimes things slip through the net”. Incofin, for example, places Smart at the centre of its social performance metric. The fact that it is meaningless in practice is irrelevant. Incofin’s investors are sufficiently convinced, Incofin is protected in the case of a scandal, and no one really needs to do anything constructive in the meantime. Smart offers reputational immunity to the investor community. Remember, before it was surreptitiously removed from the Banana Skins reports in 2012, reputation risk came # 2 in their report of the greatest risks facing the microfinance sector. Smart offers a license to continue engaging in foul play without having to face the consequences of being caught. Previously (at least some) funds might have thought twice about investing in suspiciously profitable (i.e. exploitative) institutions such as Compartamos and SKS for fear that this might irritate their own investors, who often (naively) believe that their money is being wisely invested for the benefit of the poor. Now these funds can happily invest in Compartamos and point to a silly certificate awarded by none other than one of the main shareholders in Compartamos. Poor Isabelle mentioned Smart 2.0. Is this a hint that Smart might be about to improve? It could hardly get worse. But while owned by Accion any such model will have to ensure the activities of Accion are tolerated, and some of these activities are, as mentioned, a by-word for exploitation. I cannot see Isabelle criticising MiBanco for over-indebtedness in Peru, or Compartamos for exploitation in Mexico – these are the institutions that pay her salary. The rating agencies have minimal incentive to promote Smart, it generates trivial additional revenue, and they more than anyone else can see how useless Smart is. So, unless something radical happens at Smart, I suspect we will see it quietly fade away into the history books – yet another failed effort to apparently improve the lives of the poor, with zero actual impact, while doing no harm to the interests of the rich. But it needn’t be like this. “Our current view is that microfinance is not among the best options for donors looking to accomplish as much good as possible”. If Smart were able to stand up and criticise foul practice it would add to its credibility. But that would involve shooting the goose that lays the golden egg: Compartamos. Were it to actually address serious harm done to microfinance clients and their children then people may give more credence to their certificates. If it actually defined terms like “usurious interest rates” and “adequate loan products” then people might actually know how to interpret the findings. Currently banks can charge any interest rate they like and this is considered “reasonable” as long as they are not the most expensive in the country. Drink-driving is okay as long as you are not the most inebriated in town. But above all, Smart needs to be totally independent. It should be managed by pro-poor campaigners with actual experience in MFIs. It has to be absolutely removed from any investors, an entirely self-sufficient body reporting outside the microfinance sector. It’s funding should be transparent (Smart is fairly transparent, but it comes mainly from commercial microfinance investment funds) and sourced in part from MFIs wishing to obtain the certification (as with a normal rating), but also from state actors. US and European regulators are funded by obligatory payments from the members of their jurisdictions, and through taxation. Two candidates spring to mind. Truelift has the vague semblance of a sensible idea behind it, focussing on both client protection and poverty alleviation measurement, and were it to sever ties with Smart it would be relatively independent. It lacks any protection for the children of micro-entrepreneurs; turns a blind eye to MFIs that finance illegal activities; fails to define any level at which an interest rate may be considered extortionate; and looks like a wonderbra advertisment. However, it is part of the MicroCredit Summit Campaign, which at least adds some credibility and a guaranteed audience, and is funded mainly by Results (as well as Deutsche and Ford Foundation). It even has Ananya Roy on the board, which is a bonus. However, Premal Shah of Kiva also apparently advises (the mind boggles as to what on), and Alex Counts sits on the steering committee alongside Isabelle Barres, so these three would have to go to ensure any semblance of integrity. It lists Asad Mahmood of Deutsche on its steering committee, presumably oblivious to the fact that he “left” Deutsche some time ago. One wonders how much input Asad has. He’s at Finca now, supposedly founders of Smart Campaign, busy charging Zambians 347.5% interest a year to get out of poverty. To ensure transparent pricing and open criticism of extortion, a formal partnership with Chuck Waterfield, founder of MFTransparency.org, would be ideal. Chuck is an outspoken critic of extortion, and plays a quasi-regulatory role – a joint venture between the two would be potentially powerful. I would also seek some form of participation with all the rating agencies, Givewell (or some comparable charity assessor), and from sensible microfinance regulators such as Ecuador’s SBS, who have designed arguably the best regulatory environment on earth (often to the disappointment of MFIs and investors). And instead of handing out lollypops to its friends, it could actually engage in promoting truly decent MFIs, and naming and shaming the rogues. If independently financed this would become possible. This is, of course, unlikely to ever happen, for one simple reason. The microfinance sector doesn’t want to be regulated. It doesn’t like scrutiny. It doesn’t want people to examine the actual impact on the poor. This is the ultimate reason why, more than 30 years after the microfinance experiment began, we have no meaningful regulation in place. We don’t want it. We are far happier going about our comfortable and profitable ideologically-driven practices with some watered-down voluntary code of principles which we can slap on a website and then ignore, and in this regard Smart is a genius player. Diverging Markets summarised this succinctly a couple of years ago: “The SMART Campaign is actually misnamed—CRAFTY would be more appropriate”. So, let’s not hold our breath for a sensible reply by Smart on the Next Billion blog – silence is wise when your next best alternative is digging your own grave even deeper. Their post went up a week ago. Not a whisper from Smart since then. Facts: neither investors nor MFIs have embraced Smart, and over-indebtedness continues to rise. The Economist claimed that Peru was the best regulated microfinance country in the world and yet its #1 player was just sold in a firesale, and take a wild guess who one of the principal shareholders was – Accion! So much for stability. Facts: Smart costs about $12,000 and almost no one has done it to date. A Smart certificate was worth pittance before they handed one to Compartamos, and its value has subsequently plunged. But if it really does command such a stellar value, why has almost no one bought one? Smart 2.0 will be a flop once again unless they address the core problems of the organisation. Wolves shouldn’t guard sheep. It’s a pity, because the sector does need decent regulation, and while it is tempting to criticise self-regulation per se, at least sensible self-regulation would be a step in the right direction. A fascinating story emerged on the BBC today. A controversial payday lender called Wonga came to a voluntary settlement with the UK regulator (FCA) after admitting it had been lending recklessly, at high interest rates, to people otherwise excluded from the financial sector. It has agreed to write-off £220m of loans, which is quite a hit given its post-tax profit in 2013 was only £30.6m (down 51% from 2012). These loans represent 330,000 clients who should not have been offered a loan, according to the regulator. An additional 45,000 clients will no longer have to pay interest on their outstanding loans, but will have to repay the capital. The interest rates are a little steep, even by microfinance standards, often exceeding 5000% APR (no omitted decimals here – five thousand percent). The CEO admitted lending to people who could not “reasonably afford the loan in question”. How is this related to microfinance? There are some important similarities, and some equally important differences between the UK payday lending world, and the microfinance sector in developing countries. We know this is chronic in many microfinance sectors. Mexico and Peru are the current best examples. Uncontrolled credit gets people into trouble – how many times do we have to repeat this? It doesn’t ultimately matter where you are, or even how wealthy you are, debt is a dangerous tool. The firesale of MiBanco was not actually MiBanco’s fault per se, but was caused because its main shareholder, Grupo ACP, took on more debt than it could afford to pay, and then defaulted. The entire country of Argentina is in technical default on its sovereign debt currently. You can postpone the problem by borrowing from Bank A to pay Bank B, but only until the music stops. Remember the 54 suicides in Andhra Pradesh? Stories of loan officers pressuring female clients to drink poison in order to get the insurance payment? This is not restricted to India – Wonga is a UK regulated financial institution and was caught using aggressive and illegal debt collection techniques. When companies, and their staff, are under constant pressure to reach targets, to grow, to boost return on equity, to earn their next bonus, inevitably some will pile on the pressure a little too much. Vulture shareholders and greedy management with equity in the game add fuel to this fire. The headline Wonga interest rates are high, no doubt about it. But so are those charged by microfinance institutions. Yunus lamented in an NYT article, “I never imagined that one day microcredit would give rise to its own breed of loan sharks”. Finca Zambia charges up to 347.5% APR, which although substantially lower than Wonga’s highest rates is still a little on the high side. I shan’t rant about interest rates here, as I have done so extensively on this blog, but do we really expect the poor to benefit from such rates? And in Wonga’s favour, at least they were pretty transparent about the rates they charge (probably because they are obliged to publish them). Check out the website of Opportunity International and search for the interest rates – these are kept well under wraps. Where are the differences between vanilla microfinance and Wonga? There are many, but I would like to point out one. UK citizens are protected by a reasonably effective regulator with teeth. They have complaints mechanisms, bankruptcy laws, the Citizen Advice Bureau, and an open media willing to expose cases of “extortion” or “usury”. The Church of England even intervened in the case of Wonga. UK citizens are fairly aware of their rights. A Wonga loan officer cannot wonder into the house of a defaulting UK citizen and confiscate her pots and pans. And UK citizens take this protection for granted. The majority of microfinance clients have few meaningful rights in reality. There is no regulator protecting them from such practices. The legal systems are onerous and unaffordable. They are terrified of defaulting on a loan and being excluded from even the microfinance sector, and thus some are inevitably forced into prostitution, or selling their own organs, to repay a loan. But investors in such institutions can get away with this, as they operate with impunity. Microfinance is opaque, non-transparent and unregulated. Bono supports it, so it must be okay, and the websites look pretty. The investors in microfinance, as in Wonga, are far-removed from the reality the ultimate clients face, and simply reap the benefits of this desperation. What do we offer the poor by way of regulation? The Smart Campaign. The best efforts of the sector to protect the interests of the poor are so pathetic to be almost laughable, were it not for the tragedy that befalls the victims in these far-flung corners of the globe, miles away from a regulator or Bishop or watchdog looking after their interests. 375,000 of Wonga’s clients have been unfairly treated, according to the UK regulator. How many of the 200 million microfinance clients suffer similar treatment? For all the rhetoric about financial inclusion and microfinance and empowering the wealth at the bottom of the pyramid or whatever the latest catchphrase is, have we forgotten our obligation to act responsibly? When have we, as a sector blighted with scandals, had the courage of the Wonga CEO and apologise for our actions? Must we wait until the inevitable collapse of entire microfinance sectors, as has happened on countless occasions to date, before we consider the pain that over-indebted people go through? That people want and need money is no justification to offer them loans at 5000%, or 500%, or 50%. Many countries have interest rate caps precisely to avoid these sorts of abuses. In the US these are set at 40%. The UK has no such caps, but according to the BBC the government is considering introducing them next year. And no surprise who will object to these most vocally – Wonga, its shareholders, the venture capital firms behind such moneylending, and anyone else who benefits from exploiting vulnerable people. There seems to be a cruel double standard here. When British people are exploited by usurious predatory lenders there is a scandal. When we do it in developing countries it’s considered an ethical investment. We deny the poor in developed countries the rights which we ourselves take for granted. If anything good can come of this Wonga mess it is that perhaps people in the UK will question the wisdom of trying to solve poverty in developing countries with Wongas. Readers of this blog or the Next Billion blog will have detected a certain cynicism of mine regarding peer-to-peer organisations (P2Ps) operating in the microfinance sector. In fact most of my concerns are focussed upon Kiva. I find Zidisha a refreshing and innovative alternative to Kiva, but not without problems. MyC4 leads the way in transparency, but never quite took off, and recently closed down all operations outside Kenya. Kubaru remains too small. Lendwithcare are interesting, but perhaps not for the right reasons. I was disappointed at their recent blog post. It was so flawed, despite a decent premise, that I imagine they regret publishing it (see my comment below the article). However, a fascinating development is underway currently that is potentially the first innovation in ages in the P2P space in a while, but could also be a disaster. It concerns MyC4’s latest and largest loan. There are basically two models for intermediating funds. Wealthy investors and corporations lend substantial sums to specialised investment funds (MIVs – Microfinance Investment Vehicles), who then make large loans to Microfinance Institutions (MFIs). BlueOrchard is a good example of this. And P2Ps take thousands of small loans from individuals and lend them directly to poor clients, usually via an MFI. There are some exceptions to this. Triodos is an MIV but also takes funds from individual retail investors who can invest small sums. Zidisha is a “pure” P2P that does not go via an MFI. And there are some valid concerns regarding whether Kiva is a P2P at all in the strict sense of the word. But in essence this simplification suffices for the current discussion. MicroPlace was something of a hybrid: it took funds from individuals and made wholesale (large) loans to MFIs, but it collapsed. MyC4 have decided to merge the two models (comparable to the MicroPlace effort). The source of funding is apparently similar to the traditional P2P model, i.e. lots of individuals bidding small sums, but rather than making hundreds of individual small loans to poor borrowers, the loans are lumped together into one €250.000 loan to a Kenya MFI called Premier. Thus the heart-warming feeling of making individual loans to individuals is partially eroded. One hypothesis about the success of the microfinance P2P sector, as typified by Kiva, is that it is this emotional connection that draws people in, offering a fluffy feeling (valid or otherwise) to the lender that he or she has helped an individual person. Thus the MyC4 model enables us to observe the impact of removing this effect in relative isolation. Other differences with this wholesale loan are that the MFI is assuming the credit risk of the underlying borrowers, and also the foreign exchange risk. But in exchange for this reduced risk, the MFI will cap the interest it will pay to the investors at 4%, which is substantially lower that MyC4’s typical P2P loans. Minor issues raised by MyC4 users (myself included) are that the due diligence of this MFI seemed scant – it received a stellar risk rating despite being a start-up, there was no discussion of the interest rates the MFI will subsequently charge the poor etc. MyC4 responded to these questions adequately. So far so good. The bidding ends this month, and we are watching it closely. I have not yet bid, for reasons which will come clear shortly. But there is a little catch to this loan that is potentially a serious alarm bell. On the 30th of June I downloaded the 50 largest bids on this loan. This is the maximum you can view on a single page on MyC4, and covered a substantial portion of the entire bids, which was a little over 600 at the time. Bids on this loan ranged from €5 to €57,599. The 50 largest bids started at €122, and represented marginally over 50% of the entire bids at that point. So, what we see is that a few big investors account for the lion’s share of the bidding – nothing particularly surprising there. However, dig a little deeper and there is a weird anomaly. 80% of the capital raised by the top 50 bids are from MyC4 themselves. They are bidding on their own loans. MyC4 Foundation, Kjaer Group, MDG3, MyC4 Board, The Way Forward, MicroFund 1 and KBFUS are all controlled by MyC4, or more specifically the founder and CEO Mads Kjaer. There is nothing fundamentally wrong with this, I am not suggesting anything murky here. But is it normal for the main customer in a shop to be the owner of the shop? Total funding from the top 50 lenders on 30th June was €120,011 of which €96,530 (80%) was from MyC4 controlled entities. I mentioned that the interest rate is capped at 4%. This is the interest paid to the lenders. In fact there are two additional costs to the business: fees and interest paid to MyC4 and the facilitator of the loan. These add approximately 4% to the cost of the loan, and the facilitator in this case happens to be none other than MyC4 East Africa, a subsidiary of MyC4. So, we have a slightly circuitous scenario: MyC4 bidding on its own loans, earning interest as a direct lender (typically at 4%), earning approximately this rate again via its commission to the MFI and via its own facilitating subsidiary. Again, I am not suggesting this is wrong. It is simply a rather bizarre way to lend money to a bank in Kenya. Obviously the upside to MyC4 is that it encourages other lenders to jump on the bandwagon and also lend, i.e. MyC4 can leverage its own loan to the bank. So, today I revisited the website and just over €7,000 new bids from these MyC4-related entities have emerged. Time is running out, and the bid is filling very slowly, particularly from the non-MyC4-related folk such as you and I. What are the implications for this? I suspect that MyC4 do not want this pioneering loan to fail. They will inject the funds required to top this up at the required interest rate. MyC4 have deep pockets, and have already channelled over €103.000 into this bid (which currently stands at just over €142.000 in total), so MyC4 is by far and away the main lender here. If this fails it will be embarrassing for MyC4. The MFI will be disappointed. All the legal fees, contractual expenses and due diligence costs will have been wasted. Smaller lenders will be irritated that they tied their capital up for a couple of months during the bidding process only to have it returned to them (without interest). And MyC4 has focussed all its operations in Kenya, so a failed loan of this size would not do their reputation any good. But perhaps most worryingly, this potentially innovative form of intermediating capital will have failed at the first hurdle. There are exactly 3 weeks until the bidding closes, and this loan requires €108.000 more to be filled. Judging from the progress to date, this is unlikely to come from the smaller lenders, so MyC4 face only 3 options: risk the loan failing; get some big lenders in promptly; or make up the difference themselves. The beauty of all this is that thanks to the stellar transparency of MyC4, we will see exactly how this plays out, in real time. Sure, MyC4 could discreetly bid using the “anonymous” option, but this would be highly suspicious – I doubt they would attempt so unsophisticated a trick. So, what can we conclude from all this? First, once again MyC4 are innovating and doing so transparently. Full marks for that. This loan could send an important signal to the P2P sector. If this is successful, and lenders are not perturbed by the lack of smiling faces of women with goats and sewing machines, then this is certainly a more efficient mechanism for channelling funds into microfinance versus the traditional P2P model. Crowd-funded, but wholesale distributed. This will result in a lower cost of capital, and less effort (with the associated operating costs) for the MFI, which will hopefully pass to the clients via reduced interest rates. But, the evidence to date suggests that the regular “crowd” lenders have not been too impressed with this. The causes are hard to discern – it could be the lack of the fluffy feeling of traditional P2P lending (photos of women with goats etc). But it also could be simply that the interest rate is too low. Or that they are hesitant to bid on a new model, especially to a start-up MFI without a track-record. Secondly, while this demonstrates how woefully un-transparent are institutions such as Kiva, it also demonstrates that such stellar transparency comes at a price – MyC4 are likely not too keen for everyone to know that they are the main bidder, and the provider, earning fees in the process. Thirdly, this does raise some questions about alignment of interests. MyC4 has information about this loan that the regular lenders do not, and also additional income streams from this loan beyond the simple interest earned on bids (fees etc.). It also has its own reputation at stake. By sitting on both sides of the table (administrating and bidding on a loan), but with asymmetric information, this could provide a conflict of interest. For example, suppose this loan is successful and wholesale lending takes off, and we see MyC4 bidding on some such loans, but not others. If we then see that MyC4 is consistently bidding on the better, non-defaulting loans, and not on the problematic loans, could this be considered a form of insider-trading? I have no reason to suppose MyC4 have any incentives other than to grow the platform, but the question always remains when people sit on both sides of the table and have different levels of information. It creates doubt. One key example of the asymmetric information available to MyC4 and not to the bidders is simply that MyC4 can see the auto-bids, while regular users cannot. So they know already to what extent current lenders (whom MyC4 are competing against in this Dutch auction process) are willing to reduce the interest rate charged. MyC4 could benefit hugely from this information particularly in the later stages of the bidding process, and it would be extremely tempting for them to use this. Finally, there may be an ironic self-fulfilling prophecy here. If I am correct, and the loan is slow to fill as the deadline approaches and MyC4 have to cough-up the difference, there is an obvious arbitrage opportunity. Two conditions need to be met for this loan to clear – the full €250.000 has to be raised, and the average interest rate has to be at or below 4%. If either condition is not met, MyC4 have to step in with the required amount at a sufficiently low interest rate to reduce the average rate to 4%. Anyone bidding at this stage, with an interest rate of say 20%, is fairly guaranteed to win their bid. There are enough bidders asking above 20% (up to 50% in fact) that if any bidders are competed out of the bidding process it is unlikely to reach down to the 20% level. And if the bid is unsuccessful, or if MyC4 bid such a vast sum that even a 20% loan is not accepted – so what – you lose nothing, the funds are returned to your account. So, essentially there could well exist an opportunity to exploit the goodwill and motivations behind MyC4. Obviously, if enough people do this then it becomes a self-fulfilling prophecy – if enough people anticipate that MyC4 will step in that they increase their last-minute bids accordingly, perhaps MyC4 will not need to step in after all! However microcredit is financed, it is the impact on the borrowers that determines the ultimate success or failure. The loan will still cost the MFI at least 8%, and an MFI able to access traditional MIV funding may find that more attractive. MyC4’s existence is essentially subsidized by its founder and related parties. At some point this subsidy will run out. MyC4 has been around for some years and has not yet demonstrated a scalable, self-sufficient lending model. Even if this wholesale loan is filled, it may be premature to crack open the champagne. Unless, of course, MyC4 are paying! Good luck to MyC4 on this, and I will formally ask them to comment on this post if they wish. In 2009 I bought a 5-year bond issued by IFFIm – the International Finance Facility for Immunisation. I invested £5000 and received £5810 a few days ago (with accumulated interest). Not the best return on capital in history, but not bad considering current interest rates and the intervening financial crisis. The bond was AA-rated with sovereign guarantees from the UK, France, Italy, Norway, Australia, Spain, Holland, Sweden and South Africa. Pretty safe basically. The other perk was that for every £1000 invested they guaranteed to vaccinate 130 kids. So, my £5k resulted in £810 in interest and 650 kids vaccinated. Not bad for filling out a form. I work in microfinance. I am aware of the (mostly mediocre) results we are discovering as a sector regarding our own impact upon poverty. I am also aware of the crises that periodically land the sector in trouble, and the dangers of over-indebtedness amongst clients. It irritates me to see the poor having to cough up interest rates of 150% in the name of poverty alleviation. I was appalled at the cases of abuse in Andhra Pradesh. I was not surprised when the Nicaraguan microfinance sector collapsed, and am watching with morbid curiosity as the sectors of Peru and Mexico reach dizzying heights of over-indebtedness and recklessness. The key question is whether £5000 invested in microfinance would have had a greater or lesser impact than the same sum lent to the GAVI Alliance and used to vaccinate children. We can debate about the subtleties of impact measurement techniques all day, but what concerns me is that the question is not even asked. Is the impact of 650 vaccinations for kids greater or less than the impact of £5000 lent to their parents? According to the latest World Bank paper on the topic, consumption increases by 0.42% in Bangladesh as a result of microloans. So, £5000 in loans would increase consumption by roughly £20. Is that better than vaccinating 650 kids? Obviously these two outcomes cannot be directly compared, and ideally we could do both. Investors in for-profit microfinance institutions might find lending more attractive than vaccinations, as they can earn substantially higher returns. But what do the poor think? 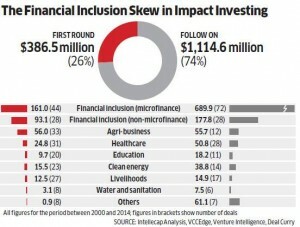 The microfinance sector is approaching the $100 billion mark. That is a chunk of money and it is reasonable to ask whether microfinance has been the best deployment of this capital. The argument over whether microfinance works or not is a red-herring. The key question is whether this is the wisest use of scarce capital. In all other areas of economics, projects or interventions are compared to their next best alternatives. But not in microfinance. No one is asking these awkward questions, least of all the people who run the microfinance sector. As David Roodman pointed out, we have created a “microfinance industry”. Industries have vested interests and lobbyists. Do we really expect Grameen, Accion, Opportunity, Smart, Finca, Kiva etc. and the microfinance fund managers to ask these questions? Their opinions are foregone conclusions when their very existence (and salaries) depend on the endless expansion of microfinance. 1) We have deployed vast sums of capital with modest outcome. This may have been more effective in other areas. 2) The sector refuses to address these simple questions in a quest to protect itself from the rigours of scrutiny. Some microfinance is good, effective and ethical. But has the sector grown too large, and risks crowding out more effective interventions? This is surely a valid question? The question recurs frequently. Well-meaning individuals, and occasionally institutions, contact me asking how they can invest in microfinance. Sometimes they are disillusioned with their existing choice of investment vehicle, other times they are considering microfinance for the first time. Since my recent critical post on Kiva, and their feeble defence, such requests have increased. “If Kiva is flawed, what else can I do?” I need to address this question. But please, this is not formal advice on how to invest, but rather an analysis of the options available. Invest directly in an MFI – this is the most risky and least diversified method. It is only advisable for individuals with larger sums to invest, excellent knowledge of the MFI, and ideally a local presence. I will not explore this option further, as it is unfeasible for the vast majority of individuals. The exception to this generalisation is to buy shares in a quoted MFI – an option I shall also avoid for the time being. Invest in a specialised microfinance fund (MIV), which invests in microfinance institutions (MFIs) which lend to the end borrowers. Some of these are retail funds available to individual lenders with modest amounts. Invest in a so-called P2P platform, which on-lends the funds to the end borrowers, and accept investments as low as $25 or £15. There may be other categories, but these three represent the majority of options. For this blog series I will not address (1) above, and will reserve (2) merely as a comparison for the focus of these posts – option (3): the P2P lending platforms. Pure P2P lending platforms: these do not pass funds via an MFI, but rather facilitate a direct transaction between lender and borrower. Examples include Zidisha and Kiva Zip. These are basically peer-to-platform-to-peer. Platforms which enable the lender to charge an interest rate to the ultimate borrower, still going via the MFI. The typical example here is MyC4. Platforms which do not enable the lender to charge an interest rate to the ultimate borrower, still going via the MFI. The typical example here may be Kiva, Babyloan or LendwithCare, but platforms such as Kubaru also operate on this basis. Interestingly MyC4 is somewhat unique in that it encompasses both models (2A and 2B). Donation-based P2P lending platforms: the “loan” is essentially a donation to the MFI, with the assurance that the funds are initially on-lent to the stated individual, but repayments to the MFI are converted to a donation for the MFI to use as it pleases (new loans, operating costs etc). The classic example here would be World Vision’s Micro platform. There are a variety of platforms out there, in each of these categories. What I will attempt to do over the coming weeks is explain the pros and cons of each method, and analyse the main platforms available within each category. This will not be an exhaustive comparison of all such platforms. Finally, once complete, I will summarise which appear to be the best options per category, and compare P2P lending to its most obvious alternative mechanism – investing via a retail microfinance fund. My analysis begins with the first category, the purest form of P2P lending, and yet in some regards the least well understood. Pure P2Ps. For all the hype surrounding microfinance, and the P2P, or crowd-funding lending methodology in developed as well as developing nations, actual pure P2P lending is rare in the microfinance sector. Call me pedantic, but the very terminology “P2P” suggests to me that there is no more than a facilitator in-between lender and borrower. This is simply not the case in most so-called P2P microfinance lending platforms, where the intermediating MFI plays a huge role in the process, potentially invalidating the very name “P2P”. Doesn’t it annoy you when you take a direct flight only to find it does a stop-over en route, but that didn’t appear on the ticket because you don’t have to actually get off the plane? Within the “pure P2P” space there are two main players: Kiva Zip, and Zidisha. The former has only recently progressed from beta to alpha stage, and lends only in Kenya and the US currently. My views on Kiva, its transparency, operating efficiency and choice of partners are well documented and not entirely positive. Instead I will focus initially on Zidisha – the first genuine microfinance P2P lending platform, with a multi-country focus. It sounds so obvious, and yet it is a point many have failed to grasp in the microfinance sector. Such people assume the poor are somehow indifferent, or immune to often extortionate interest rates. They believe microfinance is so miraculous that even APRs of 200% are fine. I disagree with them, and so, presumably, do Zidisha. Kurnia decided to harness the power of the internet, and the increasing prevalence of internet accessibility in developing countries, to bypass the MFIs altogether. Thus Zidisha was born. Zidisha offers loans in Senegal, Kenya, Ghana and Burkina Faso, and to a lesser extent in Zambia, Niger, Indonesia, Guinea and Benin. It has lent approximately $2m in total in 6000 loans to about 5000 end clients (i.e. some repeat borrowers), with a little under 8000 lenders. According to their statistics page (April 17th) they suggest the typical lender charges about 5.26%; that three quarters of those loans that should have been repaid by now have in fact been repaid. Of those that have not been repaid (25%), about 5% are late but not in default, 1% have been forgiven, and 19% have been written-off. My friend Beth Rhyne (of Smart, CFI and Accion) recently posted a bizarre article on the CFI blog (i.e. on her blog) in which she pleads for money. The premise is that the infrastructure of the microfinance sector, by which she refers to her own institution and those of her buddies, needs fixing. Some might suggest replacing entirely. She doesn’t really state why they are apparently broken, but the bottom line is that she wants money. The club includes the Social Performance Taskforce (SPTF), Smart Campaign, MixMarket, four rating agencies, and she later clips on Truelift. She then further adds the Progress out of Poverty Index (PPI), which is a toolkit rather than a company, but one promoted by her friends at Grameen Foundation USA (GFUSA). The source of the problem, according to Rhyne, is that the public sector is no longer willing to fund such entities. Private investors are reluctant to stump up the cash. And the microfinance institutions (MFIs) themselves don’t want to pay for their services. This certainly explains why she’s coming cap-in-hand for money. However, there is a possibly simpler explanation for why the public sector, private sector and clients don’t support or want to pay for a product: perhaps it’s not a very good product? MFTransparency does provide a useful function; the PPI is not a product, but a concept; and the rating agencies are generally competent. But in the case of the SPTF, Smart and Truelift there is a very real possibility that “ineffective, unwanted product” could be the cause of this problem. Smart (also known as Crafty): Accion in various guises, including basically owning Smart, housing it, directing it etc; Larry Reed of the Microcredit Summit Campaign; Beth Rhyne herself (Accion); Finca; Anne Hastings of the CEO Working Group; Asad Mahmood of Deutsche bank (although he recently quit); Credit Suisse; Ford Foundation; Mastercard; SPTF. The CEO Working Group: Accion; Finca; Freedom from Hunger; GFUSA; Opportunity Int’l; ProMujer; Vision Fund International (VFI); Women’s World Bank (WWB). The Summit Campaign: Larry Reed is the director, and former CEO of Opportunity Int’l; Bergeron is from Truelift/Smart, and ex-Kiva; Yunus; Hatch (of Finca); another Truelift bod; Citibank; Freedom from Hunger; GFUSA. MixMarket: Citibank, CGAP and Mastercard. Social Performance taskforce (SPTF): Ford Foundation; CGAP; Grameen; Ann Hastings (CEO Working Group); MixMarket. MFTransparency (the only credible member here): various rating agencies; MixMarket; Smart; SPTF; Mastercard; Citibank; Ford Foundation; Deutsche Bank. Truelift (the least credible member here): Isabelle Barres (of Accion and Smart); Alex Counts (GFUSA, CEO Working Group); Ford Foundation; SPTF; Anne Hastings (CEO Working Group); Deutsche Bank; Larry Reed (of Microcredit Summit Campaign); Premal Shah of Kiva (advisor! ); Emmanuelle Javoy (ex-Planet Rating); Sam Daley-Harris (ex-Microcredit Summit Campaign); Susy Cheston (Accion); CEO of MixMarket; Freedom from Hunger. Am I the only one to notice some similarities in these various entities? They seem to all be sitting on each other’s boards, advising one another, funding one another, hiring one another, promoting one another’s activities, and generally scrubbing one another’s backs, no? In one of those rare occasions when I actually agree with Rhyne, she distinguishes between first generation entities (MixMarket and the ratings agencies) and second generation (the rest). The MixMarket is not the most user-friendly or accurate database in the world, but actually it’s a decent enough resource which I use and am grateful for. I praise the rating agencies extensively in my book, and let’s not forget that the recent collapse of (Accion’s investment) MiBanco in Peru was first called by Fitch Ratings last year. I also respect MFTransparency, who publish the real APRs that these MFIs are charging the poor, data which I use to annoy the likes of Opportunity Int;l who don’t like people talking about their 150% APRs, or to demonstrate why Kiva’s estimate of interest rates is so poor. I wish this data could actually get into the hands of those that need it – the poor – but this gripe aside MFT is a valuable addition to the sector and I sincerely hope someone, public or private, finances it. “Because international investors are putting money into microfinance at an unflagging rate” i.e. we need to keep the money rolling into the sector. “Because global bodies are important for keeping standards high everywhere and pointing the way for national initiatives” – and this is what we’ve come up after 30 years of microfinance activities – Smart and Truelift, the latter occasionally confused for a Wonderbra? “These bodies are important because they shape a global identity for microfinance which is essential for preserving the social character of the industry” – exactly! Maintain outward appearances – Beth and I agree on a second point at least! So, while Rhyne is going round asking for money, it appears they have enough to employ the services of a PR company. Given that Smart is Accion, this was hardly difficult. So, expect a series of placements in mainstream media about the joys of these initiatives, not because some bright journalist has decided to write about them, but because a de facto lobbyist has campaigned on their behalf. Isn’t it a bit odd that such bodies even need a PR company? Some may remember a similar case some years ago, when Friends of Grameen employed none other than Burson-Marsteller in response to Tom Heinemann’s controversial documentary about Yunus and Grameen Bank. They engaged in a flawed smear campaign against Heinemann, which should come as little surprise. Burson-Marsteller’s previous clients include Union Carbide, Philip Morris, Blackwater, Nicolae Ceausescu, and Pinochet himself. They did the smear campaign for Facebook against Google, and Rachel Maddow of MSNBC famously commented “When Evil needs public relations, Evil has Burson-Marsteller on speed-dial”. Again, isn’t it strange that Friends of Grameen would need these guys? And in yet another ironic twist, in my recent critical post against the CEO of microfinance investment fund Incofin I sniffed around the guy who had originally Tweeted the link to this ridiculous interview. The vociferous Tweeter (16,300 to date) named Michiel Sallaets is none other than Communications Manager at Incofin, and according to his bio on the Incofin website, take a wild guess where he worked previously? Burson-Marsteller. It seems the company that boasted Pinochet and the Argentine military junta amongst its clients is now actively working in the microfinance sector. Anyway, what can we conclude from all this? Do not trust the likes of Truelift and Smart as far as you can throw them, these are meaningless spin organisations. Be worried about any such initiatives that rely on dodgy PR companies. Be aware of smear campaigns, planted articles, dubious media coverage and questionable “research papers” or “interviews”. Investigate carefully the content and background of each. Note (with fear) that despite appearances, microfinance is almost entirely unregulated. Hopefully one day someone will address this sensibly. MFIs: ignore these institutions, don’t waste your money on their certifications or silver stars or whatever else they offer, but do submit your data to MixMarket, to MFTransparency, and get independent ratings. Rating agencies: don’t sell out and start offering pathetic certifications – doing so will undermine your otherwise good work. Investors (public and private): don’t put a dime into these organisations, but also do not take any faith in their medals and promises and certifications – there is no substitute for a decent due diligence. If a credible and independent regulator does come along, finance it, but check the people running it first. Support MFTransparency and the independent rating agencies, and consider making both a condition for investing in an MFI. We do need to clean up the microfinance sector. That is beyond doubt, but the current offering is inadequate. If we want to rely on so-called self-regulatory bodies, they must be genuinely objective and independent of the people they are meant to be regulating. The current situation is as farcical as putting Goldman Sachs in charge of the SEC. 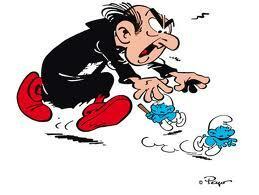 Or perhaps it’s more like putting Gargamel in charge of the Smurfs? Q. Are there any studies on the success rates and effectiveness of microfinance? A. It is difficult to measure the impact of microfinance in a scientific way because we have no way of knowing what the situation in these communities would have been if microfinancing would have not taken place. However, there are certain cases that clearly show how it can be effective. For example, we have one story of a Kenyan woman who started selling textile in small markets in Nairobi. Through microfinance loans, she grew into a large company and now frequently travels to Dubai to buy and trade in large quantities. In the end, I think the numbers speak for themselves. We invest in 120 microfinance institutions around the world that in turn have made almost 7.5 million loans. Only 1% of those loans have defaulted, which is remarkable and even lower compared to bank loans in western countries. It’s a valid question and the response of Incofin’s CEO is fascinating. Firstly, he doesn’t actually answer this rather straightforward question (“are there any studies…?”). His argument suggests that the difficulty in measuring impact arises from the inability to know what would have happened had the client not obtained a loan. This ignores a massive array of academic papers that address this specific question, using random controlled trials (RCTs). Such research methods specifically attempt to tease out answers to such questions, by creating control groups, similar to the medical research. RCTs are not perfect, and in fact no trial can ever be perfect, but they have made very convincing progress in addressing this topic. In one single sentence Cannière manages to dismiss the entire academic literature on microfinance impact assessment, and yet remain optimistic about microfinance. Consider the similarities with the medical profession. When testing a new drug, they apply it to some subjects and not to others, to see how the drug impacts the former compared to the latter. There is no way to also see, on any single subject, what would have happened if they had received the alternative treatment. Thankfully the medical profession has not discarded the practice of drug testing, while Mr. Cannière simply disregards such practices in microfinance. Perhaps we should be pleased that he is running a microfinance fund and not a drug-manufacturer. Secondly, despite disregarding the academic literature to date, he states that “there are certain cases that clearly show how [microfinance] can be effective”, and then proceeds to tell us about “one story” in Kenya. So, when asked a question explicitly about the broad nature of an entire sector, his defence rests on a single case. To illustrate this clearly, it is like asking a national lottery operator “what is the impact of national lotteries upon the general public” and the response being: “overwhelmingly positive, for example, Mr. Smith won $1 million last week”. Technically true, but what about the other million people who bought a lottery ticket and did not win? A detail the CEO of Incofin conveniently ignores. And there have been countless studies of microfinance actually hurting clients, forcing them to suicide, the microfinance sectors of entire countries collapsing, chronic over-indebtedness etc. and yet Mr. Cannière fails to mention these. This is a standard defence of microfinance: slap a few success stories, ideally with pictures of African women standing next to a goat or a sewing machine, and present this as the norm. Look at any microfinance website for evidence of such practices. We invest in 120 microfinance institutions around the world that in turn have made almost 7.5 million loans. Only 1% of those loans have defaulted, which is remarkable and even lower compared to bank loans in western countries. The low default rates are used as proof that microfinance works. This is one of the classic defences. But loan repayment does not translate to benefit to the client. The evil moneylenders, who break legs and threaten innocent clients, are the bogeyman of microfinance, and also have decent repayment rates. The fact that someone repays a loan says absolutely nothing about the impact of that loan. Indeed, one could argue that the benefit to a client who receives $1.000 and never repays a single dollar and discreetly vanishes could actually be far greater than that of a client who struggles to repay every last cent. In countries such as Nicaragua, where over-indebtedness led to a nationwide collapse, the poor managed to repay loans with very high success rates. They would borrow from Bank A to repay Bank B, and then from Bank C to repay Bank A. While this merry-go round continues repayment rates are healthy, portfolios grow, paper-profit accrues to the banks and their investors, and everything looks fine. Until the music stops, as it did rather abruptly in Nicaragua. Thus even repeat loans to seemingly “loyal” clients could as easily be a sign of damage as a sign of success. Which of these is worse? I am not sure. But the conclusion is the same. This is a deliberate attempt to paint microfinance in a rosy light and ignore the mounting wealth of evidence that challenges the wisdom of indebting poor people. It risks deceiving naïve and well-meaning investors, and it risks harming the lives of the poor. Such companies ought not be allowed to take funds from the general public and institutional investors on the basis of such spin. They should be grilled by astute journalists who push for the real answers rather than settle for meaningless patter in what amounts to little more than a glorified PR exercise thinly disguised as “knowledge”. Such an attitude would be fatal in the medical profession. In the meantime they undermine the efforts of those who are actually trying to harness financial services for the benefit of the poor, who are painted with the same brush as this rhetoric. I find this a great pity. The rest of the interview is similarly flawed. Cannière states interest rates are typically 20-25% per year, while the Economist recently claimed they were 35% per year (which still appears an under-estimate to me). Alas the rest of the interview subsequently deteriorates into a vain PR exercise. The underlying problem illustrated clearly here is the so-called principal-agent problem. Microfinance investors must entrust their funds to an intermediary, such as Incofin, to invest on their behalf. Will such intermediaries act in the best interests of the poor, of their investors, or in their own best interests? This is ultimately a question of alignment of interests, and the trustworthiness of the intermediating agent. Do the responses to these simple questions inspire confidence in Incofin? That is for the reader to decide. In the meantime, don’t believe everything you read in the media.